In an editorial column published on 18 December, the editors of The Toledo Blade point out that capturing or killing Osama Bin Laden would not defeat Al Qaeda and capturing or killing Mullah Omar would not defeat the Taliban. They are correct in this but their notions do not go far enough. The fact of the matter is, Al Qaeda and the Taliban could cease to exist tomorrow and the U.S. and Western civilization would still face a Jihadist threat. This overall war–which we at TTB believe should be properly called World War IV–goes way beyond Al Qaeda. Already, there are spin-offs of Al Qaeda in the Asia-Pacific Region, Southwest Asia, North Africa, Europe and the U.S. These are loosely formed groups which are inspired by Al Qaeda and model themselves in some way off of Al Qaeda, but are not operationally attached to Al Qaeda in the classic sense. Bin Laden and Zawahiri don’t command them and those two Jihadi leaders could be vaporized by a JDAM tomorrow and the global offshoots would still exist. The Jihad extends beyond Al Qaeda as well. When the Jihadist terrorists attacked Mumbai in November of 2008, it was automatically assumed that they were Al Qaeda. When it was surmised that they were in fact Lashkar-e-Taiba, that organization was labeled as an Al Qaeda affiliate. Now, it turns out that, while both Al Qaeda and Lashkar-e-Taiba are both Salafist Jihadist terrorist organizations and ideological allies, they are separate groups. One could be wiped off the face of the earth this afternoon and the other would still be waging Jihad. Then there is the whole issue of Jihadist groups who are certainly NOT part of Al Qaeda. Hezbollah is the prime example of this. Hezbollah is Shia and, while they have cooperated with Al Qaeda in the past, they are definitely not part of Al Qaeda. Moreover, Hezbollah is perhaps even more dangerous than Al Qaeda due to their backing from Iran and a robust infrastructure set up on every continent, with the possible exception of Antarctica. The fact that some of these groups are not actively engaged in ongoing operations against the U.S. or the West on a day-to-day basis should not be construed to mean that they are somehow not waging Jihad against us. On one of the laptop computers uncovered in the investigation of Lashkar-e-Taiba after the Mumbai attacks, it was discovered that the group had a global list of 320 possible targets for attack. And the recon man for the Mumbai attacks turns out to have been a guy from Chicago. America is, unfortunately, largely in denial about the war we are in and that makes victory all the more elusive. Too many believe that “killing Bin Laden” will end it or that wiping out Al Qaeda will mean victory. This is simply untrue. 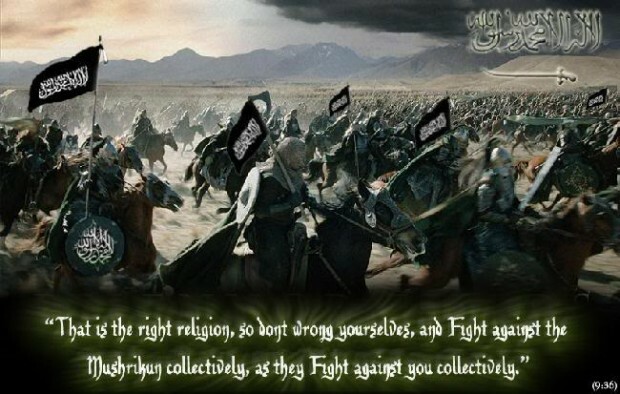 There is a global Jihad being waged against America and its allies. It is being waged in Afghanistan and Iraq to be sure. But it is also being waged in Israel, Algeria, Somalia, Sudan, Western Europe, Russia, India, Pakistan, Bangladesh, Thailand, the Philippines, Central and South America and, yes, right here in North America.